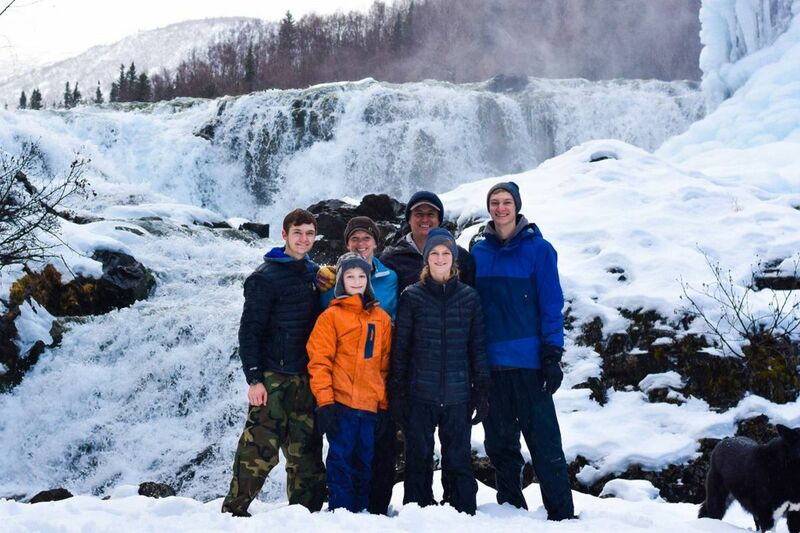 Scott Blom and two of his teenage children had been headed to a high school volleyball tournament in Anchorage when they and their young pilot were killed in a plane crash Wednesday in Lake Clark, near the place where they started — Port Alsworth. Blom's family and friends, in their first detailed statements about what they knew about the circumstances of the plane crash, also said Friday that Blom's wife, Julie Blom, flew separately on a commercial flight to Anchorage because there wasn't room for her on the four-seater, single-engine plane. Another one of the Blom children was on a high school volleyball team and traveled to Anchorage separately with his teammates, while a fourth was already living in the city as a student at the University of Alaska Anchorage. The single-engine Piper PA-28 Cherokee had left Port Alsworth around 10:30 a.m. Wednesday, but never arrived in Anchorage. It had carried the pilot, Kyle Longerbeam, 25; Blom, 45, a Christian missionary; daughter Kaitlyn Blom, 14; and Zach Blom, 13. All lived in Port Alsworth, a small community on the shores of Lake Clark, inside the vast Lake Clark National Park and Preserve and about 165 miles southwest of Anchorage. In the two days that followed Wednesday's report of the missing plane and people, searchers found the plane's co-pilot seat and three of its wheels floating on Lake Clark. They also found some of the plane occupants' personal items scattered in the water north and east of Port Alsworth, said statements from the National Park Service. "So without a doubt, the airplane is unfortunately underwater," said Clint Johnson, the National Transportation Safety Board Alaska chief. Johnson said on Friday the agency was assuming the three passengers and pilot had died in the crash "unless we hear otherwise." A search from the air was expected to continue Saturday. What led the plane to crash remains under investigation, Johnson said. The Blom family of six lived in Port Alsworth for about seven years, according to family friend Jackie Wilder. Scott Blom and his wife, Julie, had spearheaded a nationwide leadership training program for college students and military cadets through Lifelines, a branch of the evangelical organization Cru, once known as Campus Crusade for Christ, said a statement from the family provided Friday by Tanalian School Principal Nate Davis. "The Bloms are based out of their home and lodge on Lake Clark and have a passion for serving Alaskans and helping them develop their own relationship with Jesus Christ," the statement said. Wilder said the Bloms all helped out at Port Alsworth's small, public K-12 school, the Tanalian School, and were outgoing members of the tight-knit community of about 200 people. According to the family's statement, Scott Blom coached the high school boys basketball team. Wilder said in the Bloms' spare time, they indulged in their love of the outdoors. "They were out and about all the time; they were very kind, hardworking, thoughtful, smart," she said. "They loved hiking, boating, flying, hunting, trapping, fishing — they just loved everything that Alaska has to offer." On Wednesday, the entire Blom family was supposed to be in Anchorage. The couple's oldest son, Josh, a freshman at the University of Alaska Anchorage, was already there, and the second oldest, Sam, had traveled with the volleyball team, Davis said. The family's statement Friday said Kaitlyn and Zach were both honor roll students. The statement described Longerbeam as an Alaska guide and "great friend to many." Joel Natwick, owner of Tanalian Aviation, described Longerbeam as a "good man." "He was a talented guide and outdoorsman and he was a good pilot," he said. Longerbeam had a private pilot certificate, according to state records. Photographs on Longerbeam's Facebook page show him out in Alaska's outdoors — fishing, hunting, wearing snowshoes and posing with pelts as well as a plane. 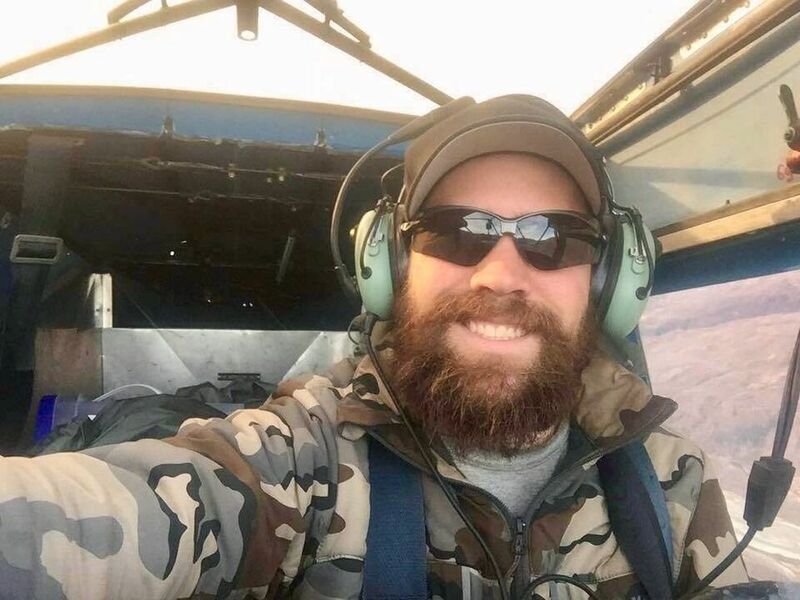 He was a former resident of Fairfield, Iowa, and Cedar Rapids, Iowa, and "left everyone and everything behind … to live out his childhood dreams in Alaska," according to a statement issued Saturday by his brother, James "J.J." Longerbeam. Longerbeam's life ended with him "doing what (he) loved to do," the statement said. Johnson said he could not provide information Friday on how many planes had also taken off from the Port Alsworth late Wednesday morning. The community is not reachable by ground. Two flight services regularly operate out of Port Alsworth — Lake and Peninsula Airlines and Lake Clark Air, said Natwick, whose Tanalian Aviation is a helicopter tour company with a summer base in Port Alsworth. Lake Clark Air declined to comment Friday, and Lake and Peninsula Airlines did not respond to calls. Natwick said Longerbeam worked as a private pilot. According to the plane's tail number, the plane he flew Wednesday belonged to Glen Alsworth. The Alsworth family owns Lake Clark Air. It's unknown if Longerbeam rented or borrowed the plane. What is known is that Longerbeam and the three Bloms took off from Port Alsworth in "less than stellar" weather, Johnson said. "But we need to get some more specifics there." Johnson said pilots reported "a fair amount of fog and restricted visibility over the lake." 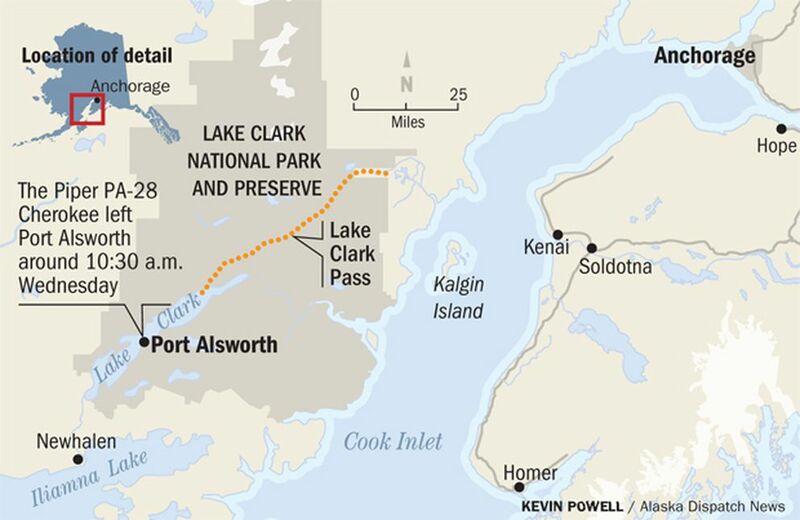 The plane's route during the 90-minute flight would have taken it above the lake and then through Lake Clark Pass to the northeast, Johnson said. Natwick said the plane would have likely followed the shoreline on the northeast side of the lake. The National Weather Service's closest weather observation station to Port Alsworth is in Iliamna, to the southwest. Bill Ludwig, a NWS meteorologist, said Friday the weather in Iliamna can be fairly indicative of what's going on over Lake Clark. Around 10:30 a.m. Wednesday, he said, Iliamna had a low ceiling, between 800 and 1,500 feet, with a brisk wind between 15 and 25 mph, and with temperatures around 3 degrees. "The fact that they had pretty bad conditions there indicates that the weather was probably the same in the case of the Lake Clark area," Ludwig said. Extensive searches have continued this week to find the four missing people and the plane. Natwick said he flew a helicopter over the area Wednesday and Thursday, assisting in the search, and reported poor visibility and fog over the lake. Johnson, with the NTSB, said Friday that the agency was investigating the crash, including its cause. Asked whether aircraft have been recovered before from deep in Lake Clark, Johnson recalled a crash in 2005 in which three girls died. According to the NTSB's final report on that crash, the girls' father lost depth perception in whiteout conditions and flew into the frozen lake. He and his wife were able to escape, but weren't able to free his daughters before the plane sank in roughly 800 feet of water. Neither the victims nor the aircraft in the accident were ever recovered from the lake, Johnson said. "They are still in the plane," Johnson said. "It was out in the middle — it was very deep." Alaska Dispatch News reporter Chris Klint contributed to this report. Correction: An earlier version of this story incorrectly reported that a National Transportation Safety Board investigator was in Port Alsworth on Friday.